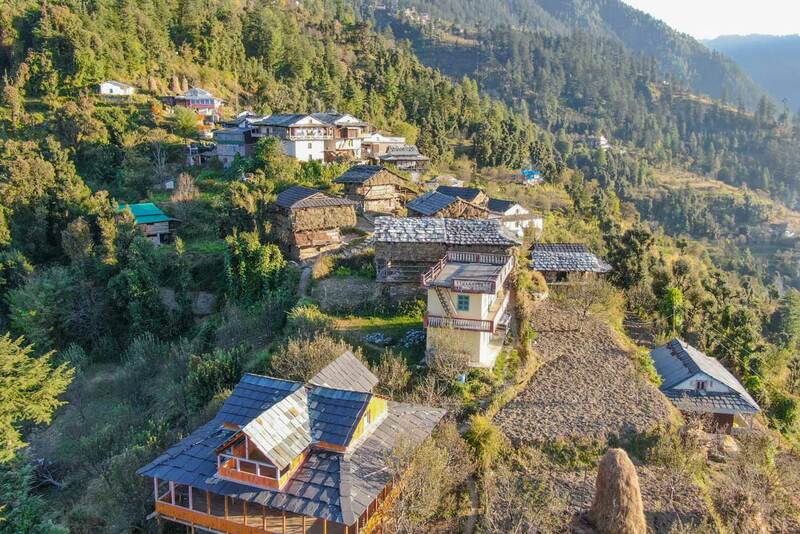 Himalayan Ecotourism works with volunteers, interns and researchers. The Himalayas is an extremely fascinating but fragile place. Long-term welfare of the local villagers and conservation of the natural ressources are serious issues. Working for the promotion of a sustainable development with the participation of local communities while developing ecotourism activities is an exciting opportunity to familiarize our interns with the concept of social enterprise. Our volunteers and interns are typically involved in two domains of actions. 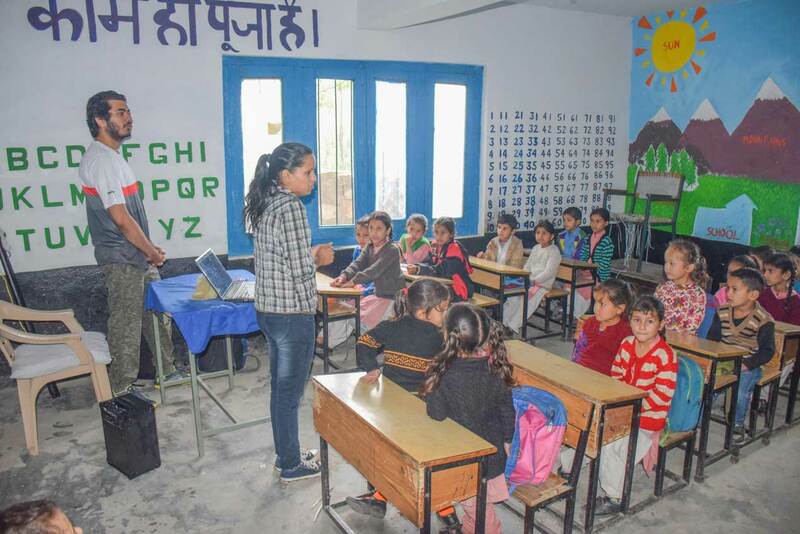 On the "social" aspect : education of local kids, women empowerment, development of green technologies, capacity building and awareness raising campaign. On the "enterprise" aspect : improving the skills of our cooperative members, marketing, management, etc. 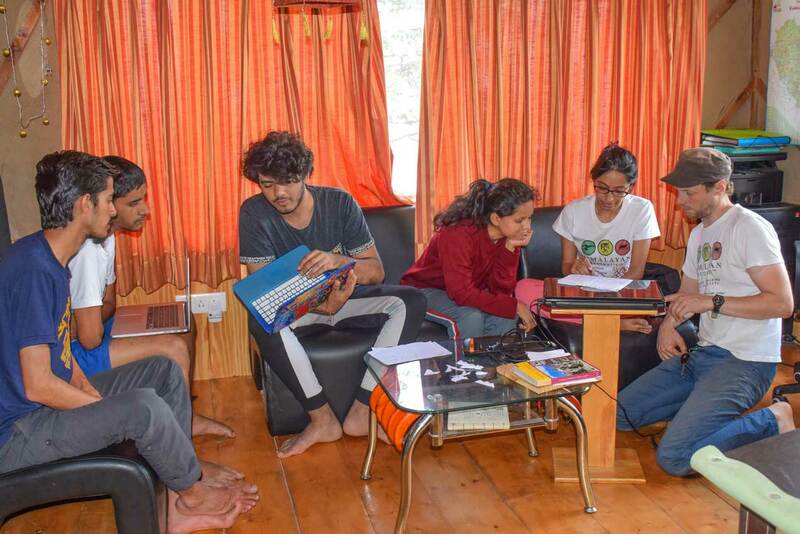 Volunteers, interns and researchers can apply for intership at Himalayan Ecotourism. 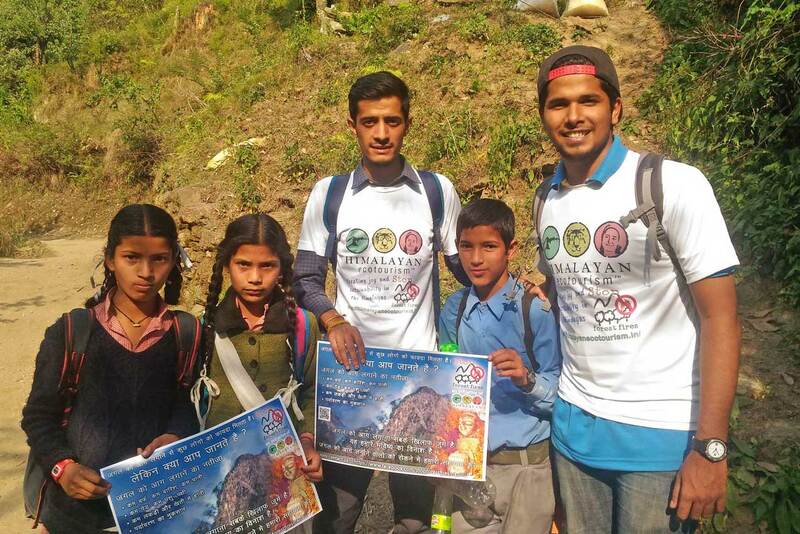 In the previous years, value-added products have been developed by Himalayan Ecotourism with the help of interns. The aim was to offer an extra source of income to local underprivileged women. A couple of women have been selected and then trained to making of these products. We initiated the sales of the products by selling to the tourists visiting the Tirthan valley and the Great Himalayan National Park. 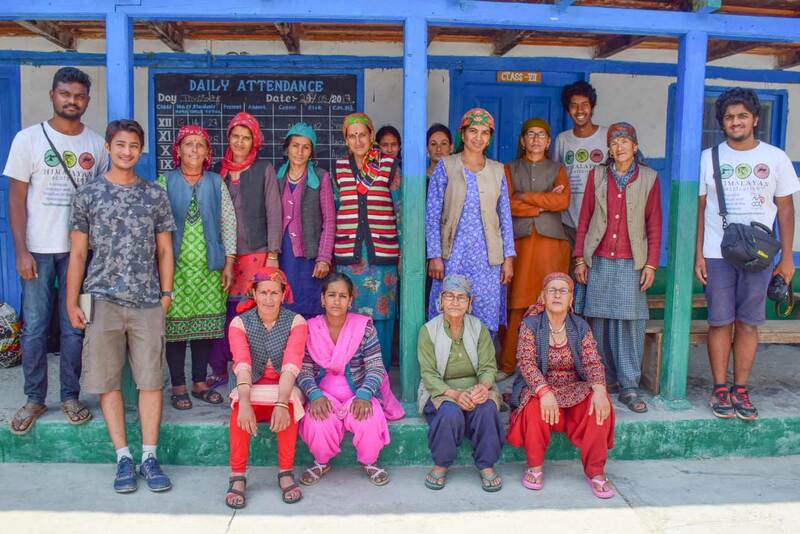 The production and sales could not be sustained because no women staff of Himalayan Ecotourism were dedicated to the project, and the workshop was too far from the villages of the selected women. The conditions were not optimal for the continuity of the program. We have a plan to start again the production and sales on fresh basis. 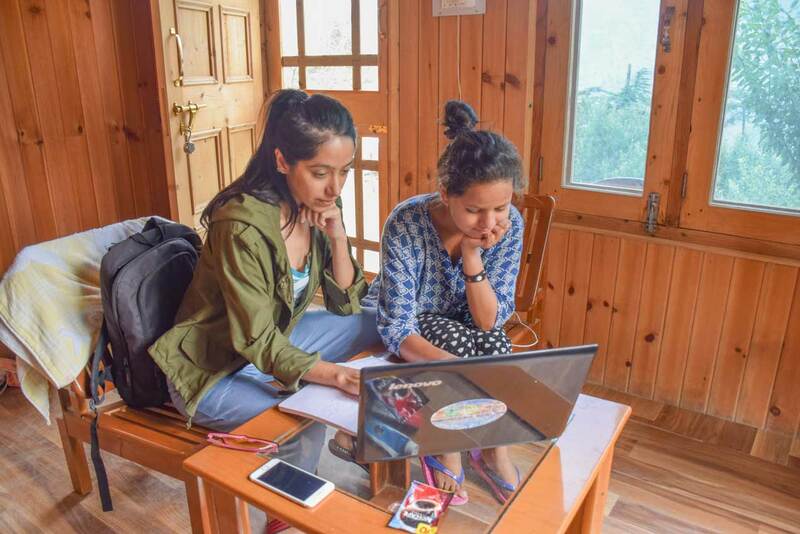 Two women staff of Himalayan Ecotourism are working on the project, the workshop has been moved to a village where a few women will be trained, the workshop is located just beside our facilities for the stay of our interns. We plan to sell to the tourists again, but we would like to start online sales as well to enable selling throughout the year. The teaching in the local schools is of an extremely poor level. The kids are brainwashed with theory and doctrine which they seem to remember/record for the next exam but not to understand. Their awareness level is equally low and they virtually develop no skills at school. 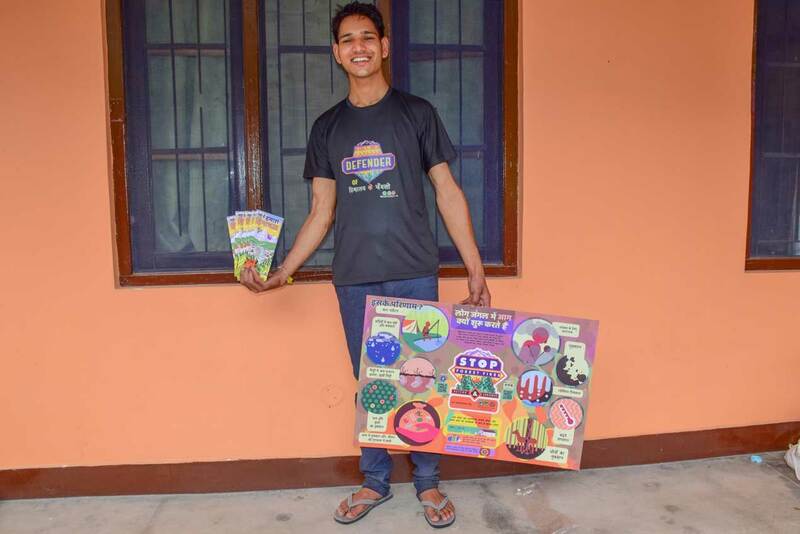 In 2018 we started approaching the school kids to talk and raise their awareness about the issue of intentional forest fires in the area. The response of the kids and the teachers was quite encouraging. It seems that working with the children has a much better response and impact compared to working with adults who are quite resistant to changes. And so, we decided to work in schools, with the kids and their teachers. Two schools have been selected to become our “model schools”. We wish to introduce innovative methods of teachings in these two schools. The children will be brought into new learning processes thanks to which their learning of the conventional subjects will be eased, their awareness level will raise and their basic skills will be developed. Our first step will be to make the teaching of the conventional subjects more efficient so that it may clear enough school time for teaching unconventional subjects. Our concept will be gradually developed based on the results and feedback from the kids and teachers. Innovative teaching methods will be brought in the schools and taught to the teachers. The children should develop a taste for learning in a less academic style, in a more experiential and playful way, and having a better understanding of how the acquired knowledge could be applied in their future life. Health and nutrition. How better nutrition can lead to better health ? How to grow food organically? Comparative studies of the local and global culture. Basics of politics and democracy. Personality development - Allowing the children to find their own strengths and talents. Surveying the kids, the family and the teachers to identify and understand better the shortcomings of the present system. Organizing teaching sessions in the two selected schools based on innovative methods. Preparing teaching materials in collaboration with our local staff and the teachers. Organizing teaching sessions in the two selected schools. Capacity building of our local staff and teachers. Documenting the entire process to allow the enrichment of our locally appropriate teaching innovations. In case the interns can afford a multi-months stay they should attend classes on a regular basis. Greediness and laziness of human being is no exception in the area around the Great Himalayan National Park. 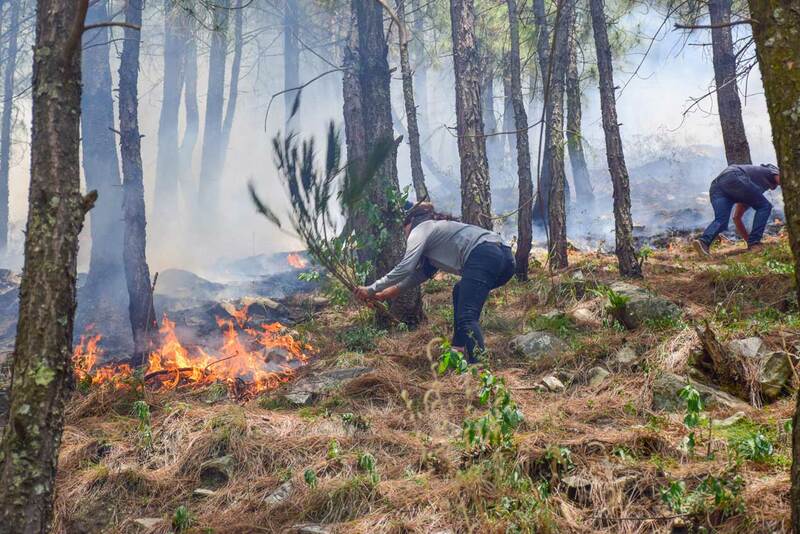 Lush Himalayan forests are being burned, intentionally, by some of the locals for enhancing their cash income or to ease their labour. 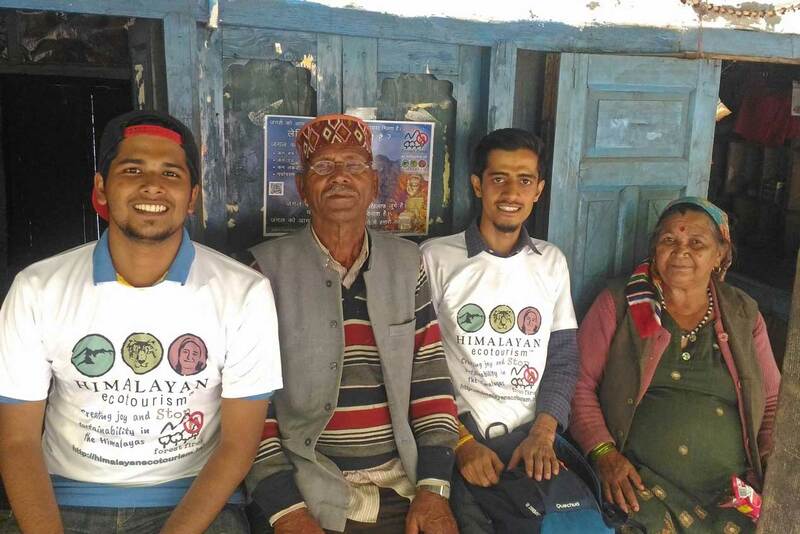 Since 2016 Himalayan Ecotourism organizes campaigns to raise awareness of the locals about the adverse impact of these intentional and widespread forest fires. This will be an everlasting effort until this practice would be completely dropped. Posters and informative road signs are put up, discussions are organized in the villages, and the children are approached and educated about the issue in their schools. Putting posters up in the villages and other strategic places. Encouraging discussions in the visited places, organizing the villagers for fighting against forest fires. Helping our local staff to perform good presentations front of the school kids. 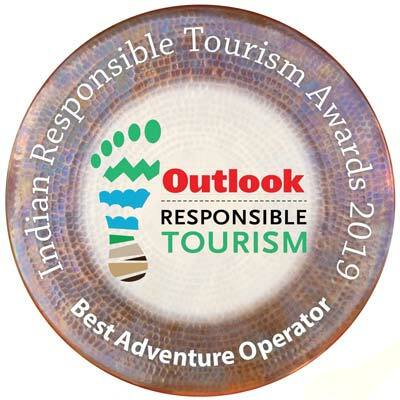 At the end of 2018, during the last meeting of the year, our cooperative decided to start a reforestation project along the trail of the Rangthar trek. The trail, that is in the ecozone of the Great Himalayan National Park, goes through an area which is badly deforested. The same area suffers every year from intentional forest fires, in such a way that natural regeneration is prevented. The absence of forest makes the life of the local villagers challenging. Difficulty to get fuelwood, the intense summer heat, the erosion of the soils associated with water scarcity are the main consequences faced by the villagers. A nursery will be set up near the trekking trail. The saplings will be grown at the nursery before being transplanted along the trail. Each tree will be protected from the grazing animals and from the forest fires. This will require a good amount of efforts and management. Our interns can help on this project. Helping in management of the nursery and plantation processes. Promoting our crowdfunding campaign for the pproject. Encouraging the participation of more cooperative members. Like in most of the places in rural India the local farmers have been trapped into the modern system of farming with the Green revolution. The villagers have adopted a farming logic that makes them dependent on the corporate and the market forces. To an alarming extend they have lost their capacity to cultivate without seeds and pesticides from the market. Not only a consistent part of the farmers’ income goes straight to the corporate, but indigenous crop are being abandoned and their farming practices are dangerous for their health, the local ecology and the consumers of their products. A model kitchen garden has been set up just beside the building where our interns and volunteers stay. The objective is to demonstrate to the villagers that they can grow quality fruits and vegetables without chemicals and without spending their money. We also plan to set up a seed bank in the villages around to promote the local seeds and avoid dependence on seeds from market. Growing various vegetables in the kitchen garden, testing biopesticide and natural fertilizers. Approaching the women for explaining them the concept of seed bank and help them to set up their own. Educate the local women about the benefit of having a good nutrition for the entire family. The GHNP Community-based Ecotourism Cooperative Society is a beautiful movement that happened within the community living in the ecozone of the GHNP in the year 2014. During the establishment of the society and during the first years of existence the leaders and even simple members of the society had to face opposition and sometime even intimidations from the local administration and some debased businessmen. The spirit of a cooperative has to be clarified and shown to all the 65 members so that they can support each other better, and get themselves heard with one voice. This will require a patient social effort. Our interns can help in this regards. Assess the opinion of the cooperative members about their society. Help the board members to be more systematic and to organize regular meetings with proper reporting (minutes of meeting). Help in publishing the Himalayan Ecotourism newsletters. Help in making the financial system more transparent and in increasing the visibility of money flow to all the members. This is the building where our interns stay. This is village where we stay, just front of the GHNP. One room is for the women and the other one for the men. We spend some a good amount of time interacting and learning from each other. One of our local women staff gains communication skills with Sujoy. Getting ready with all the material before field work. At the end of a meeting with women in a village. Interns promoting innovative practices for organic farming. On field work to spread the word about the forest fires issue. Interacting with the local villagers is an important part of the work. Extinguishing the flames of a forest fire teaches a lesson to anyone. On the last day of Devanshi's internship. With Keshav, our president ! Developing new ecotourism products near the Great Himalayan National Park. Revamping the French website of Himalayan Ecotourism. 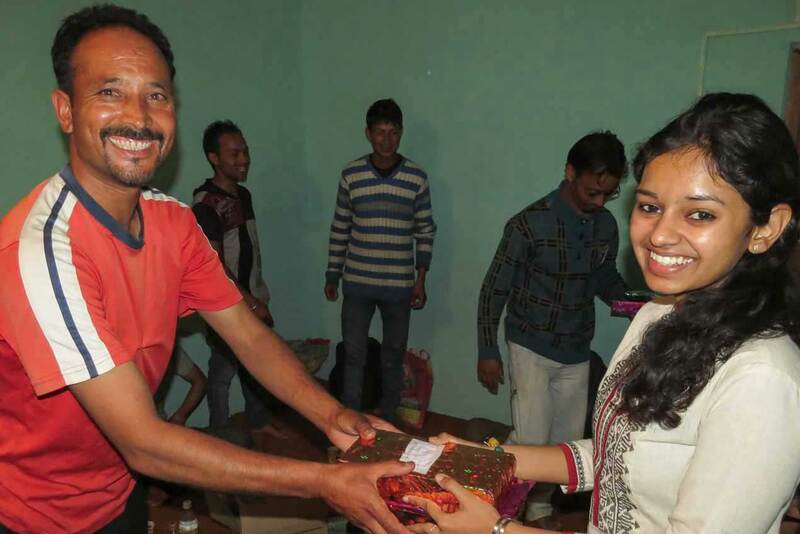 Capacity building of a young local woman for working as office assistant. Helping raising awareness of the locals about the adverse impacts of forest fires. Working of social media marketing for HET. Developing the documentation and media content for approaching school kids and raise their awareness about the adverse impacts of forest fires. Helping in building the capacity of a young woman to teach the kids about the same issue. Making of a short video for our Stop Forest Fires campaign. Helping raising awareness of the locals about the adverse impacts of forest fires. Converting our “Stop Forest Fires” message to the local community into a pamphlet for school children. Identifying an Indian music band to record and perform our “Stop Forest Fires” song. Training of a local woman to do the “Stop Forest Fires” presentation for school children. Surveying the villagers around the Great Himalayan National Park to understand how Himalayan Ecotourism team could approach them for reducing intentional forest fires. Research work about the cooperative model of Himalayan Ecotourism. Assisting the work at the Life Lovers' café and promotion of Himalayan Ecotourism. Prospecting the best business development of Himalayan Ecotourism. Developing mass communication tools for raising awareness of the local villagers about destructive forest fires. Developing a thermoelectric module for the advanced stove. Making of stove prototypes. Launching a crowdfunding campaign. Mobilizing the community (especially the women folk) of the ecozone around the Symbioz (Green Technologies) project. Assessing the level of awareness about the impacts of the use their natural resources on the local and global environment. Development of a biopesticide for various cash crop in the ecozone of the Great Himalayan National Park. Advising the steps to be taken for the improvement of the ecology of an habitat for the Cheer pheasant in the ecozone. Worked towards creating a women Self Help Group in the villages and provide them training in soap, balm and bag making in the GHNP region in order to establish a self sustainable model to empower the community. 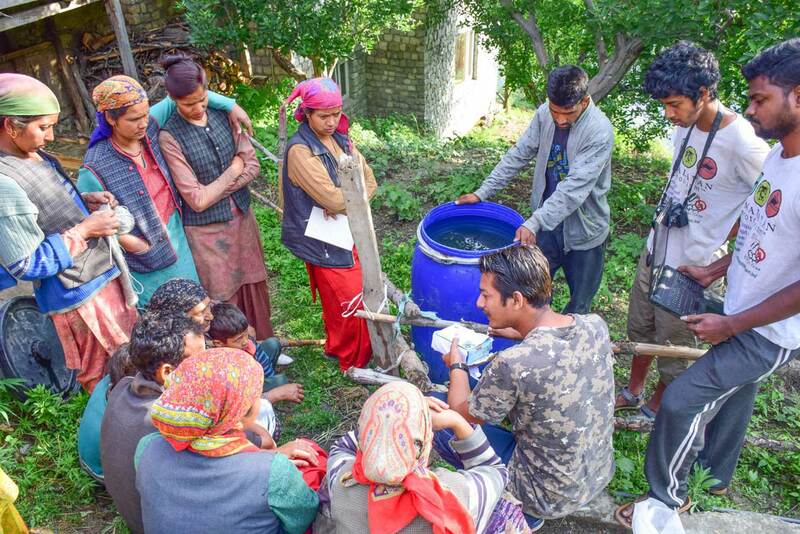 Research on forest fire in the ecozone of Great Himalayan National Park, and participation in the formation of women SHGs and in strengthening of the existing SHGs in some villages. Creating business structures and marketing plan for Himalayan Ecotourism and Himalayan Eco-creation. Women empowerment for setting up their micro-enterprise. Organizing winter trek in the ecozone of the GHNP. Making of local-made snowshoes. Making of the first prototype of the advanced wood stove. Writing articles for a new blog. Developing ideas to devise a waste management project. Research and development work for the advanced stove project. Mobilizing women from villages in the ecozone of the GHNP to form Self-Help Group and launch their micro-enterprise. Making of a video about the work of Himalayan Ecotourism. Development of the capacities of the members of the cooperative to the management. She has assisted our efforts to form the cooperative. Participation in a study on the income of the villagers of the ecozone of the GHNP. 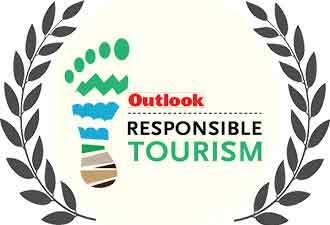 Development of the strategy of "marketing" of Himalayan Ecotourism. Study of issues related to the income of the villagers of the ecozone of the GHNP and the consequences of the establishment of the national park. Socio-economic study in the village of Karongcha. Management and accounting of the cooperative. Training of women of the village Pekhri to the production of felted wool and jams. Teaching of English to members of the cooperative. 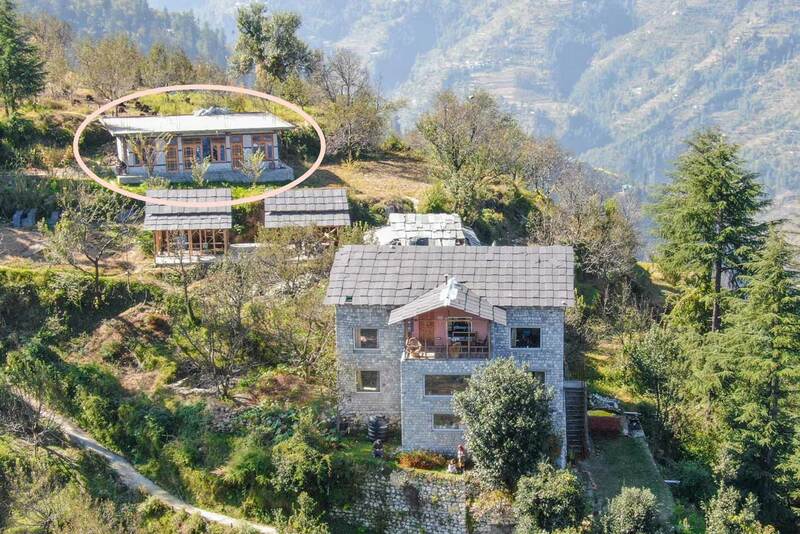 She has attended Lani in its efforts in the promotion of Himalayan Ecotourism. Thanks a lot for writing the Himalayan Ecotourism story with us !